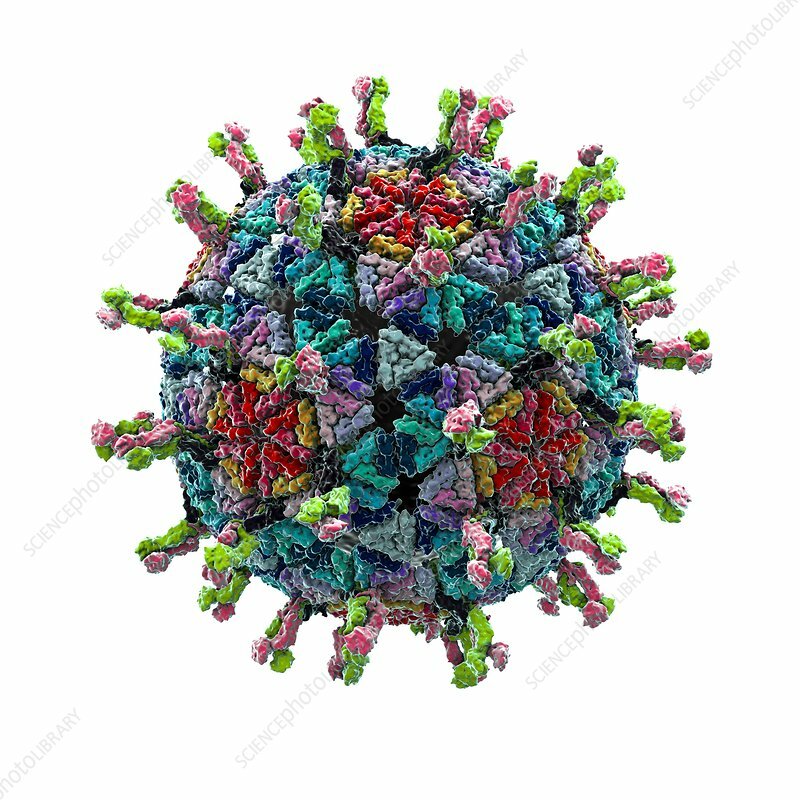 Rotavirus particle, computer artwork. Rotavirus particles (virions) are composed of an icosahedral protein core (capsid) encasing RNA (ribonucleic acid), the genetic material of the virus. The capsid is covered with surface proteins (green and pink) that bind to cells and enable the virus to infect its host. Rotavirus is the most common cause of severe diarrhoea and vomiting in infants and children. The virus is transmitted through contact with contaminated surfaces and objects.